TEEC ensures you get peak performance from your integrated hybrid cloud infrastructure and helps you make the most of your combined public and private cloud computing environment. Our solution is scalable, cost-effective, secure and flexible and bridges the gap between the high-security private cloud and the low-security public cloud. This combination of both types of cloud computing allows businesses to keep the cost of ensuring the security and integrity of their data to a minimum by only using a private cloud environment when absolutely necessary. 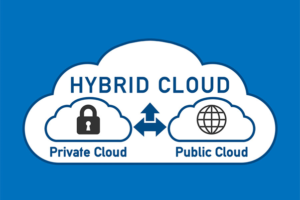 Where security is not the primary concern, a hybrid cloud set-up allows data and applications to use a less secure private cloud, thereby reducing costs quite considerably. As an example of how this already works for some of our clients let’s look at a situation of a brand that needs a worldwide presence but controlled from a single location using a standard CMS. In its simplest form, most CMS have a folder that contains the images and other static assets used in the site. It’s also true that most new CMS already have an integration with Amazon. Therefore it’s very straightforward to define the image library (which does not have any security concerns) to look like i a standard folder as far as the CMS is concerned but when used results in the assets being loaded into the public cloud and delivered from the world wide cloud front. Add in possibilities for geo location and a world wide solution is available to high levels of security without having to do much if any custom coding. Not only is this often more cost effective it also ensure rapid response of the site from anywhere in the world.